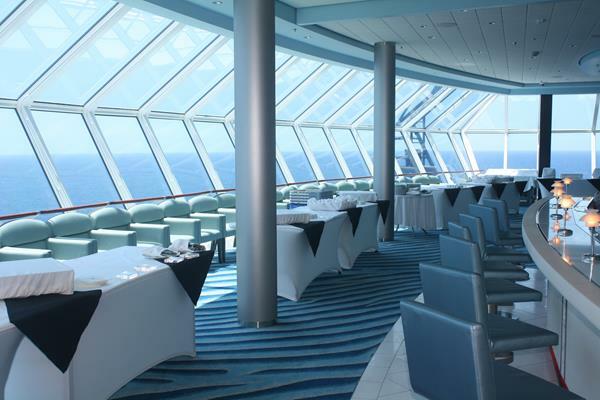 I took a fabulous 7 day cruise with Celebrity Cruises aboard the Celebrity Summit to Bermuda. Here are some of my pics. 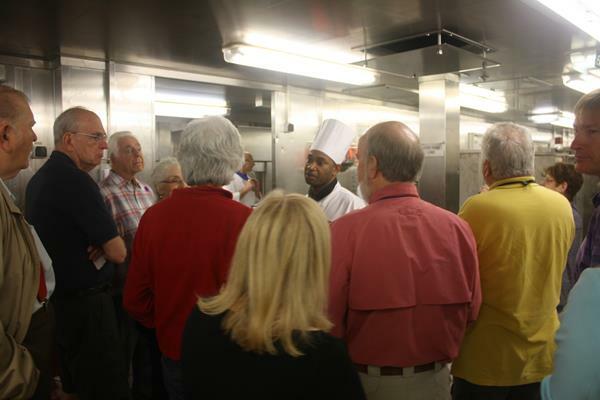 Taking a food tour behind the scenes on the Summit. 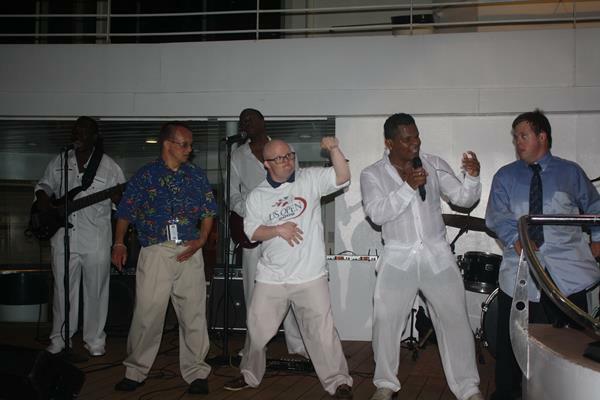 How cute are these guys, dancing at a pool party on the ship? 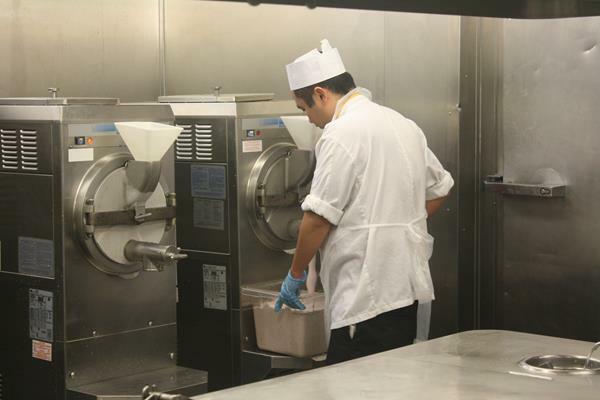 On the ship, two nights are designated Formal Nights. Guests dress up (some come in ballroom gowns) and just have fun. 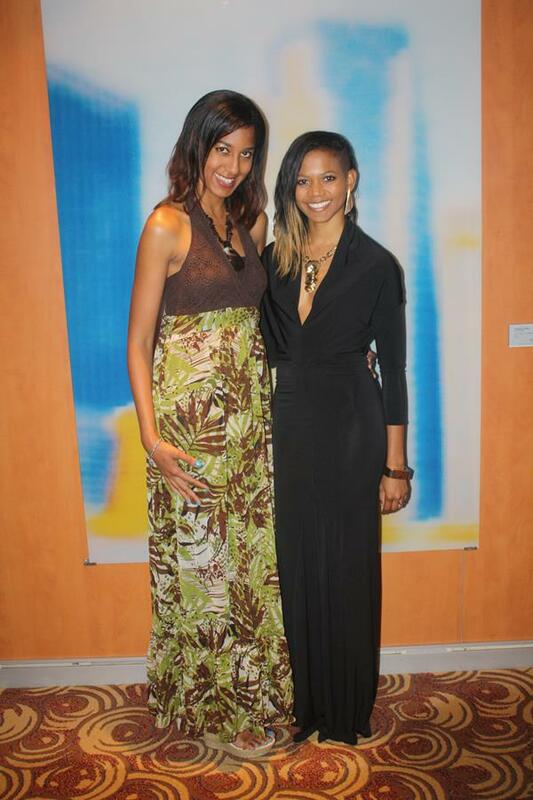 My sister and I got in the spirit of things…minus the ballroom gowns. When I needed some quiet-time to work, I came to the Revelations Club during the day. It was so chic and elegant. 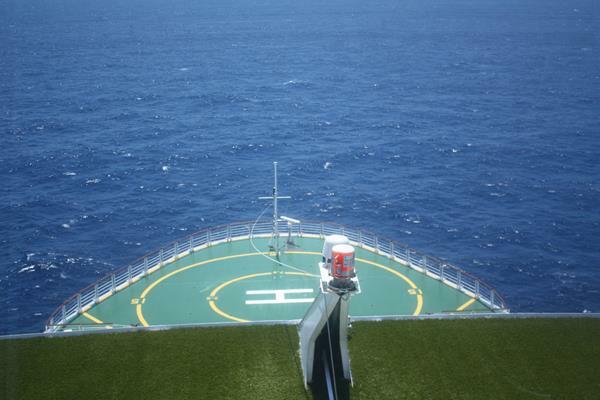 This is the view of the front of the ship from the Revelations Club. Someone saw dolphins. I wasn’t so lucky. 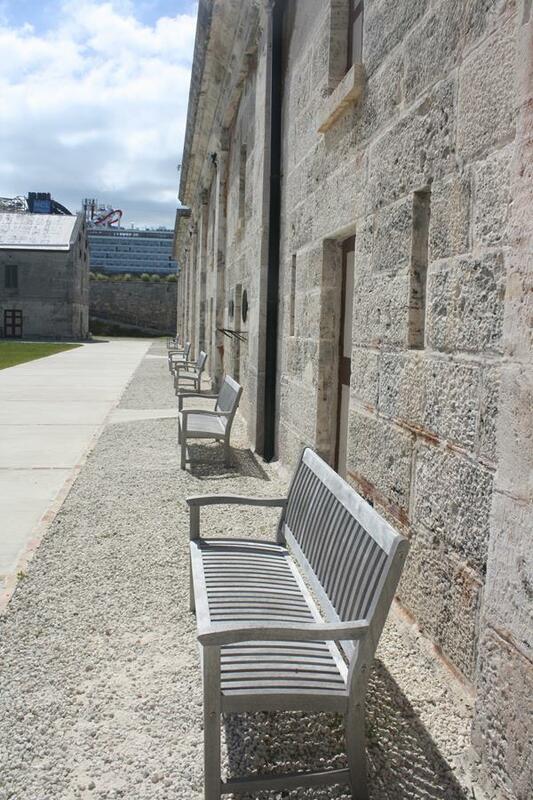 I visited the National Museum of Bermuda and got this shot of one of the old military buildings. Inside the museum, there are dolphins. Go figure. You can bring your kids to swim with them for an additional cost. 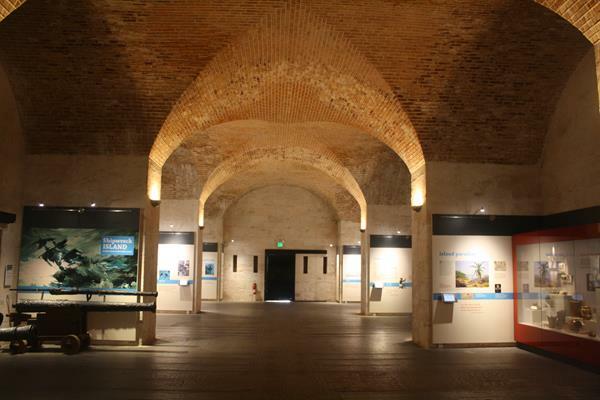 This is inside one of the buildings at the museum. I was the only one inside, that day. 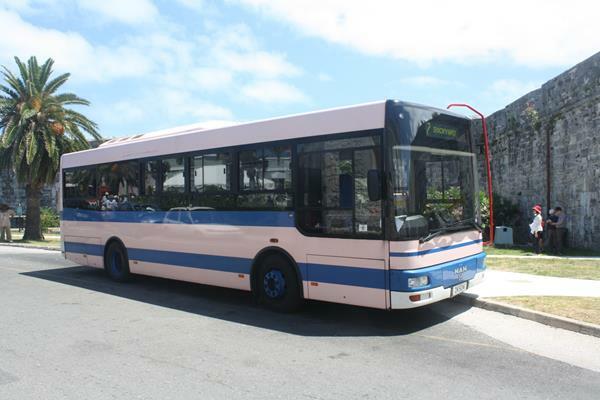 Bermuda’s buses are super clean. 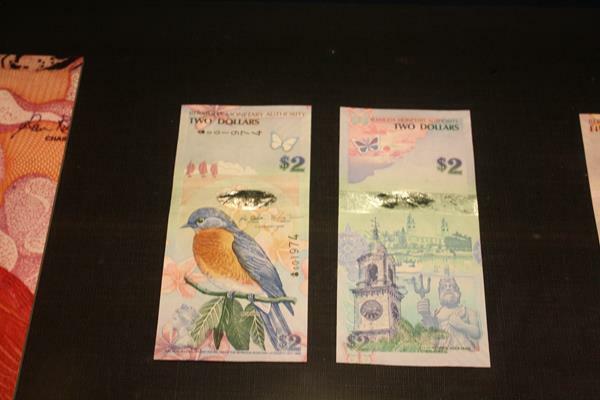 Bermudian day pass for the bus and ferry. 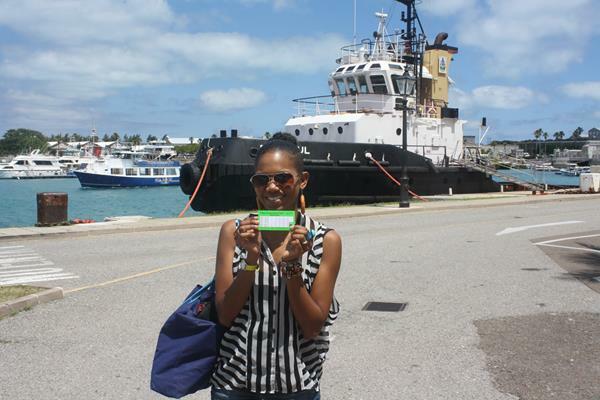 Waiting for the ferry to Hamilton, the main town in Bermuda. This is where all the shopping and partying happens. 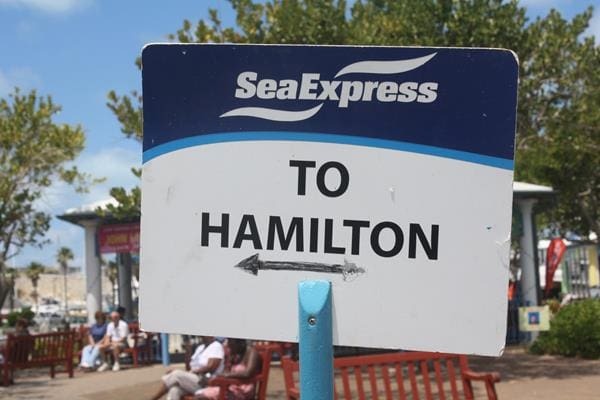 It’s a 20 minute ferry ride away from the port where the ship was docked. 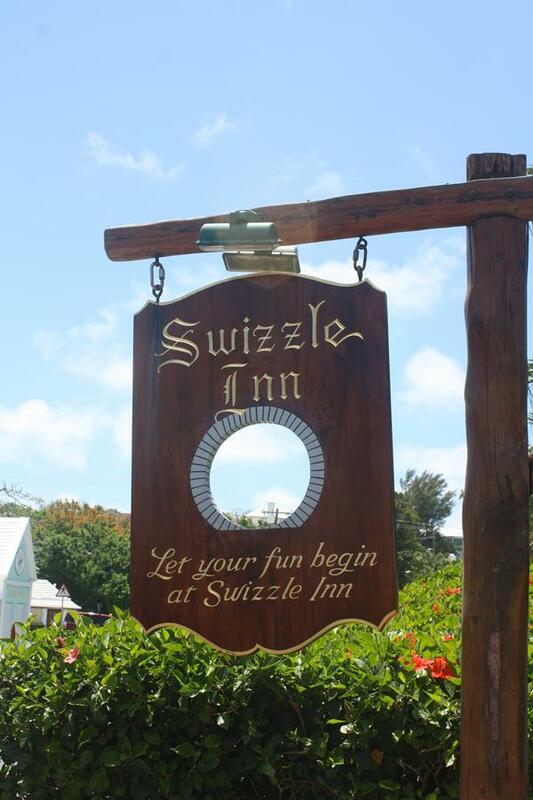 We headed to the Swizzle Inn to taste the legendary Rum Swizzle. It was well worth it, let me tell you. 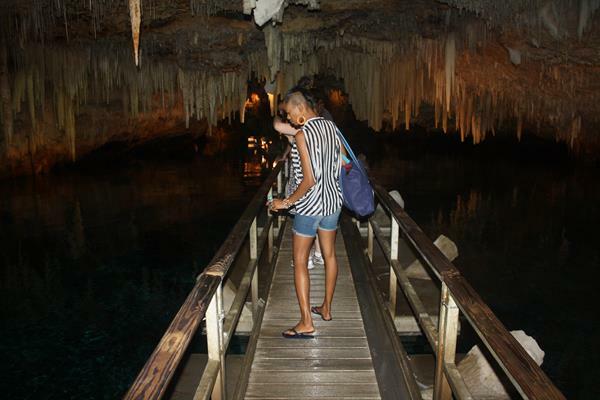 Crystal Caves was discovered by two teenagers. 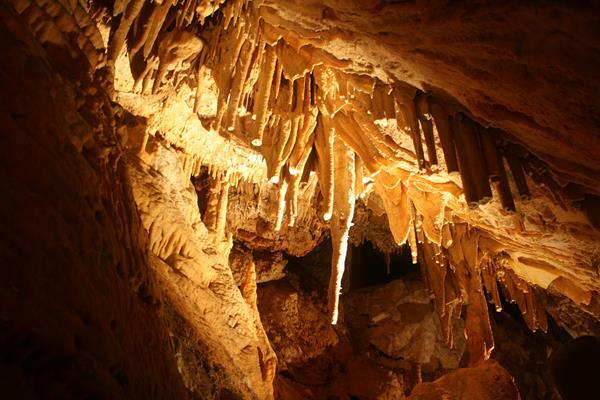 It’s full of stalagmites and stalactites AND a pond. It was insane seeing this underground. The tour guide took the lights off for a few minutes to show us how the two boys must have felt. Yes, I freaked out a little. 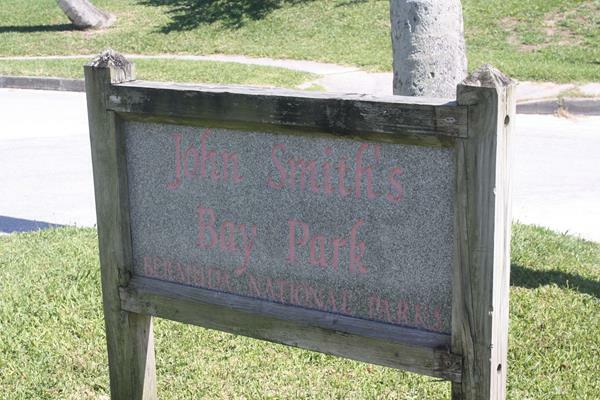 Heading to John Smith’s Bay Park, which is ranked #10 on Bermuda’s Best Beaches List. Wait til you see what #10 looks like. #10, people!! This is #10!! This would be a #1 in New York. And there you have it. 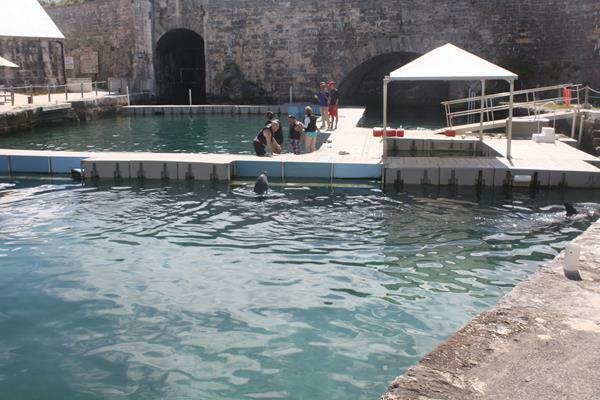 My time in Bermuda was so wonderful. Big thanks to Celebrity Cruises and my new Bermuda and cruise friends for a fabulous trip. This trip and other amenities were provided to me from Celebrity Cruises. All opinions are 100% my own. dining in bermuda	is just as impressive as the beautiful scenery!